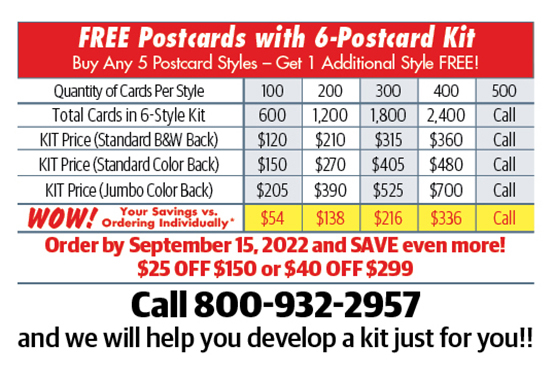 Get FREE Postcards when you order the kit! The single most important factor in direct mail marketing is repetition. 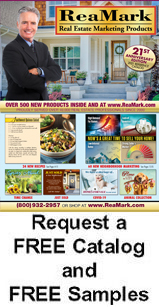 Monthly mailings help establish your credibility and better your chances of catching clients and prospects at the moment when they are ready to buy or sell. Call 1 (800) 932-2957 for your quantity kit pricing.